Thai Food Hack – How to Make Thai Pork Salad and Thai Shrimp Salad! ← Computer Hack – How to Make your PC run Faster! The other day, I had the please of making Thai Pork Salad and Thai Shrimp Salad for dinner, I took some pictures so you can learn how to make “authentic” thai salads too. This is my favorite food to eat when I am drinking rice wine or soju and highly recommended if you are into spicy foods. 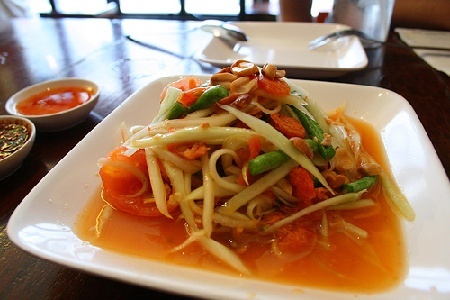 Yam-Muh-Yuh means Thai Pork Salad while Yam-Koong means Thai Shrimp Salad, where “Yam” means “Thai Salad” while “Muh-Yuh” means “Pork Sausage” and “Koong” means “Shrimp”. You will first need Asian Pork Sausage, which can be found at most Chinese markets. This is essential ingredient so try to get the authentic one. You will need some green onions, 3-4 green onions will do. You will need these Thai Chilis to make the salad spicy. Don’t forget Limes, you will need about 3-5 of these. Cilantros are the main “vegetable ingredient to this Thai Pork Salad and Thai Shrimp Salad. I got red onions because they make the salads taste a little sweeter but you can use regular white onions too. Also for the shrimps, take the skin off and rinse them well. Then dump the raw shrimps in boiling water for about 3-5 minutes until they are cooked. Pour out all the hot water and set them aside as shown above. Once you have all the ingredients cut up, simply mix the green onions, red onions, cilantro, chilis in with the cut-up pork pieces and the shrimps. For Chilis, be careful how much you put in as it can get very spicy. You can set aside some of your cut-up chilis and add them later if the salad is not spicy enough. 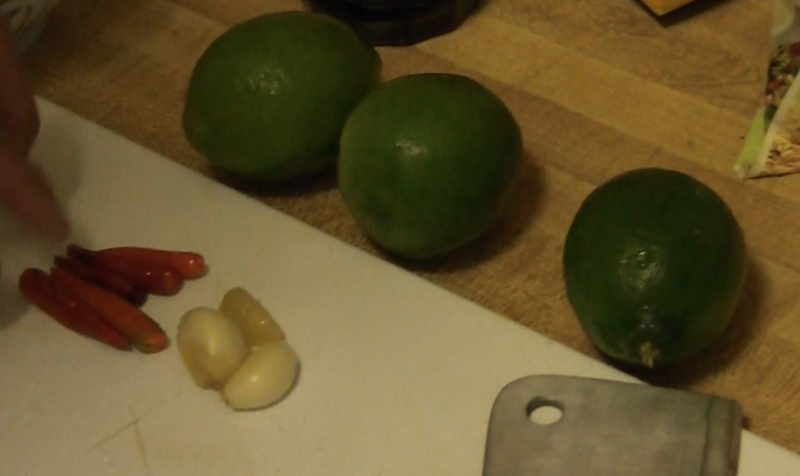 Now, squeeze all your lime, about 4 half-pieces on each of the Pork and Shrimp salad bowls. Pour in some of the fish sauce now, (about 4-5 squeezes) and then mix up the salads. If it’s not spicy enough, add more chili. If it’s not sour enough, add more lime. If it’s not tasty enough, add more fish sauce. Keep doing this until it tastes just right for your tongue. This Thai Pork Salad and Thai Shrimp Salad should be good for about 2-4 people at most. You can always double/triple the ingredients for larger parties. Well, I hope you enjoyed my cooking here, you can also check out how to make Thai Coconut Soup here. Check out more interesting categories: Consumer, Cooking, delicious, DIY, Educational, Entertainment, Featured Hacks, Food, Hack, HOWTO, Misc, Projects. Thai Food Hack – How to Make Restaurant Style Thai Spicy/Sweet Hot Sauce! Thai Food Hack – How to Make Som Tum Papaya Salad! 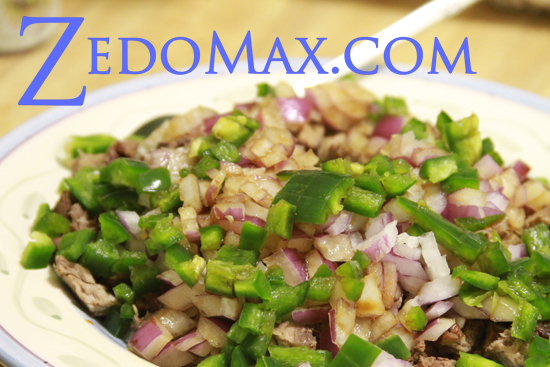 Food Hack – How to Make Beef Sisig! 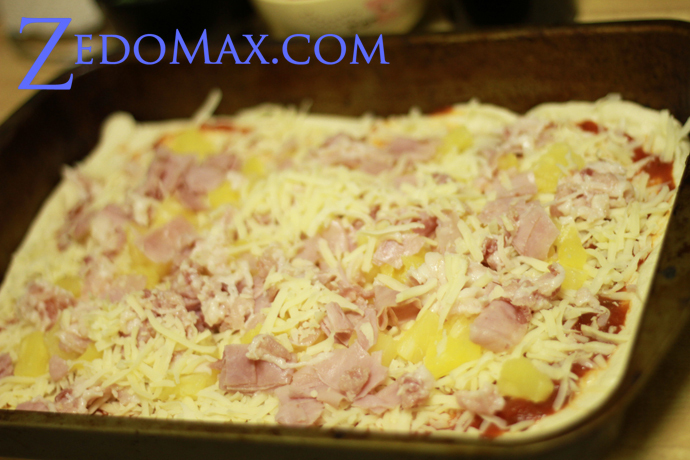 Pizza DIY – How to Make Hawaiian Pizza! 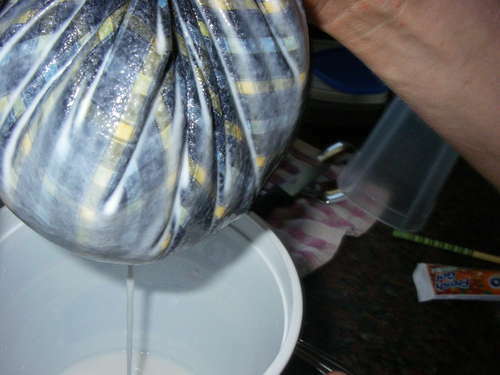 Thai Food Hack – How to Make Coconut Milk! 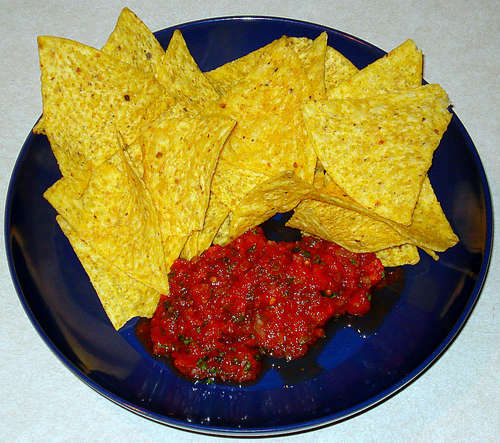 Salsa Hack – How to Make Authentic Mexican Salsa! 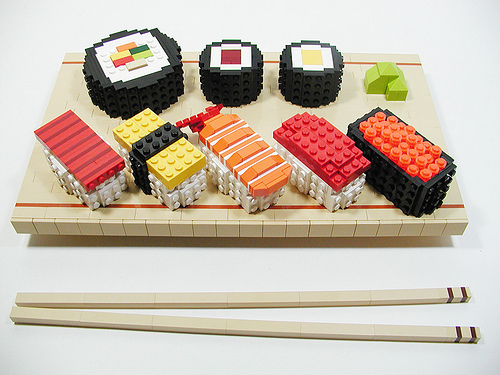 Lego Sushi Makes Sushi-Geeks Drool!